Businesses that prioritize customer experience significantly outperform competitors, with half expecting to adopt AI customer experience by the end of 2018, according to new research. 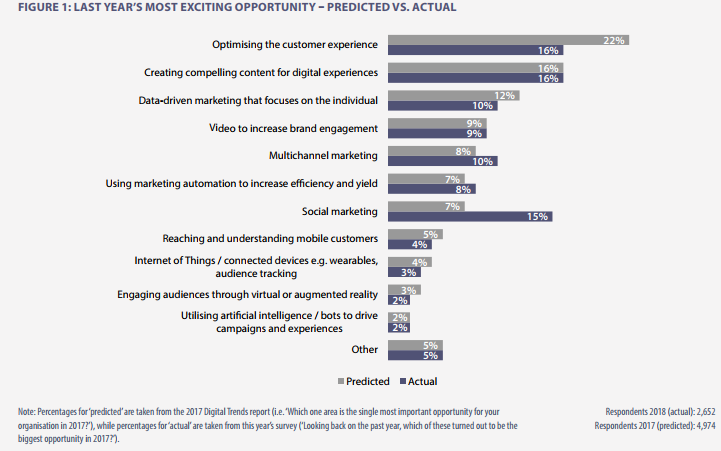 The Adobe Digital Trends Report explores the digital trends that marketers are looking to incorporate into their strategies in 2018, and the digital technologies that were most successful in 2017. Surveying 13,000 marketing, creative and technology professionals across the globe, the Digital Trends 2018 Report revealed that customer-centric businesses that prioritise customer experience are more likely to outpace their competitors, and are twice as likely to exceed their business goals. As a result, almost half (45%) of businesses rank content and customer experience management as a top priority for 2018. 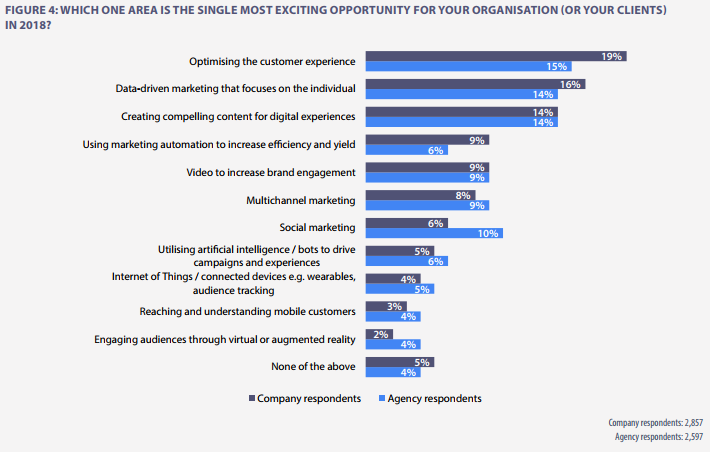 The study found that content and customer experience management is becoming a top strategic priority for organisations in 2018. Almost half (45%) of companies surveyed rank this as one of their three most important priorities for the year ahead, with a fifth (20%) considering it their primary focus. Just under two-thirds (62%) of companies agree they now have “a cohesive plan, long-term view and executive support for the future of [their] customer”. The report found that Artificial Intelligence (AI) is becoming an important driver of customer experience execution. This is particularly true in larger enterprises, where 24% of respondents say they are already pushing forward with AI investments.